Many of the best restaurants in the CSRA trust Superior to keep their kitchens safe. 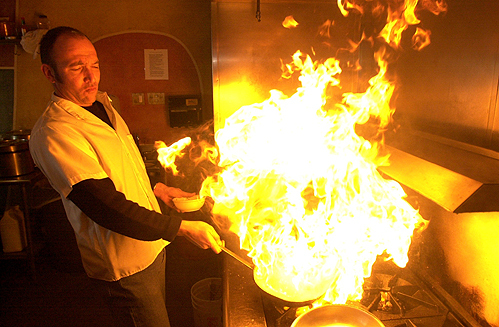 If you’re opening a restaurant, let us handle your commercial kitchen fire suppression. Our experienced staff can custom design a system that’s perfectly suited to your individual kitchen. And just like with our fire extinguisher service, we’ll contact you when you’re due for maintenance, so you can worry about your business, not compliance with fire codes.